Product #674 | SKU SCMNT | 4.0 (based on 1 rating) Thanks for your rating! 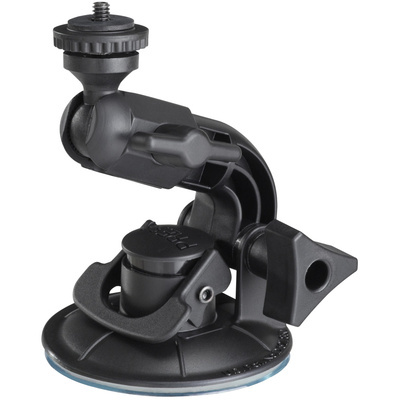 Make your car part of your camera equipment with this handy Titan Camera Suction Cup Mount that attaches securely to your car window, dashboard or roof. Supports cameras, binoculars and other optical equipment with a standard tripod mount. With a 180 swivel head and tilt action, this is an essential gadget for anyone shooting video or photographing subjects from their vehicle. This little sucker is cheap and gets the job done. Awesome for DSLR or smaller. Allows you to capture that interesting angle. Once you've got some hard flat surfaces the video world is then your oyster really.